Geothermal energy can be defined as a sort of renewable energy derived from the heat generated deep in the earth’s crust. The temperature of the earth crust rises one degree Celsius for every 30-50 meters and the heat is brought to the surface by thermal conduction. This clean renewable energy is used in some countries for cooking and heating for thousands of years. Geothermal resources can be harnessed into electricity, for hot water and for heating your homes. Electricity generation technology consist of three methods: dry steam method that uses steam as it comes from the underground source to drive the turbines, flash steam method which makes use of the underground hot water (360 degrees F) is pumped to the surface where it flashes to steam and drives the turbines and binary method that makes use of heated underground water and runs it through a heat exchanger where it heats a fluid with a lower boiling point that flashes to steam and drive the turbine. In the top producers of electricity from geothermal energy are United States, Philippines and Indonesia. 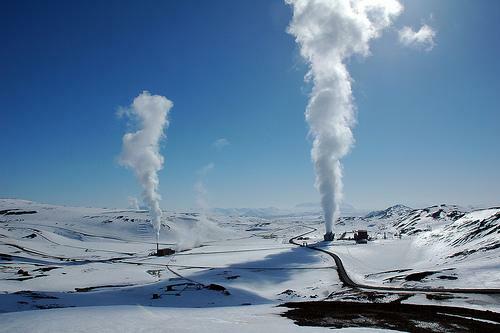 Currently only 24 countries have geothermal power stations. Finding a suitable build location is a major drawback to geothermal energy because to trap geothermal energy must provide hot rocks in the layer of the Earth’s crust that would heat the water pumped into the well at suitable level and not all the locations are completely reliable. 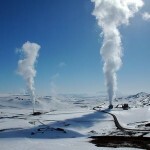 Investment costs in geothermal energy are very high. Drilling is more than half the cost. The other ugly part of geothermal energy is the hazardous gasses and minerals such as mercury, hydrogen sulphide, ammonia and arsenic come upon the surface along with hot water. In conclusion geothermal power in the long run is seen to be very cheap, but the initial cost of installing the power will definitely be high and has some risks.